Virgin Trains’ Hop on Board beer is proving to be an important ingredient in the rise of a bread-baking business in the North East. 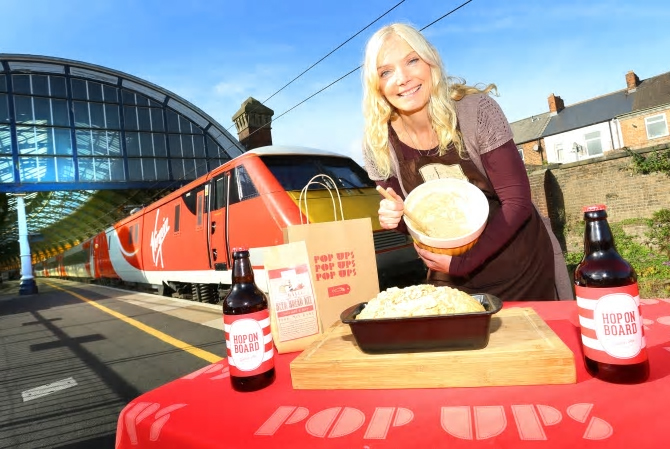 Claire Bowes Fairless was inspired to bake with the Yorkshire-brewed tipple when she tasted it after visiting one of Virgin Trains’ popular monthly Pop Up Shop events for small businesses at Darlington station on the east coast route. Family-run business, Jar House, which sells bread and bread-baking kits say that their beer-inspired loaves are now best sellers and have attracted orders from across the UK. 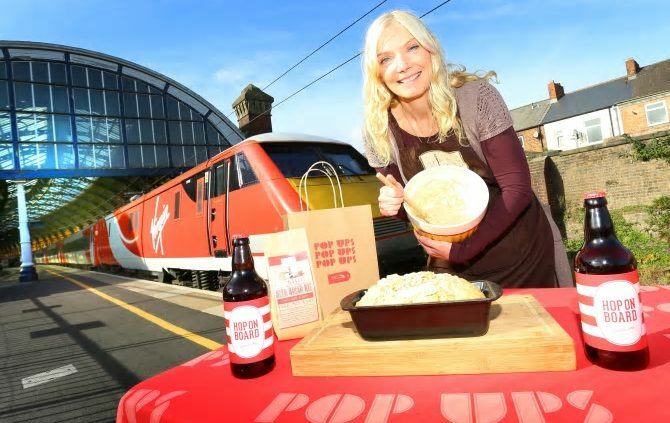 They will be teaming up with Virgin Trains for the latest Pop-Up Shop event tomorrow at Darlington station where customers buying her beer-inspired bread can get a free bottle of Hop on Board ale as part of a special promotion. 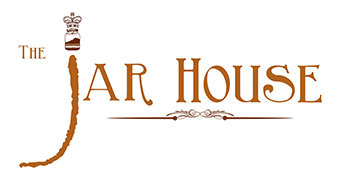 Claire, who is from Middlesbrough, said: “There has been a boom in hand crafted beers and micro pubs while the British public love baking bread, not least following the phenomenal success of the TV show The Great British Bake-off. “I’ve always liked to buy a beer from the places I visit – and I’ve found that bread tastes best when you bake it with a bottle of beer! “When Virgin Trains’ staff at Darlington told me that the company serves its own Hop on Board beer on-board its trains, I thought I would see how this tasted when baking a loaf – and they’ve proved so popular that I’m now going to launch a range of ‘beer biscuits’ and cookie-making kits. Jennie Pitt, Employee Engagement & Corporate Responsibility Manager for Virgin Trains on its east coast route , said: “Since launching our Pop Up shops last year, we’ve helped support dozens of local independent retailers by offering them a market stall environment within busy train stations, such as Darlington and York, where they can interact with thousands of potential customers.